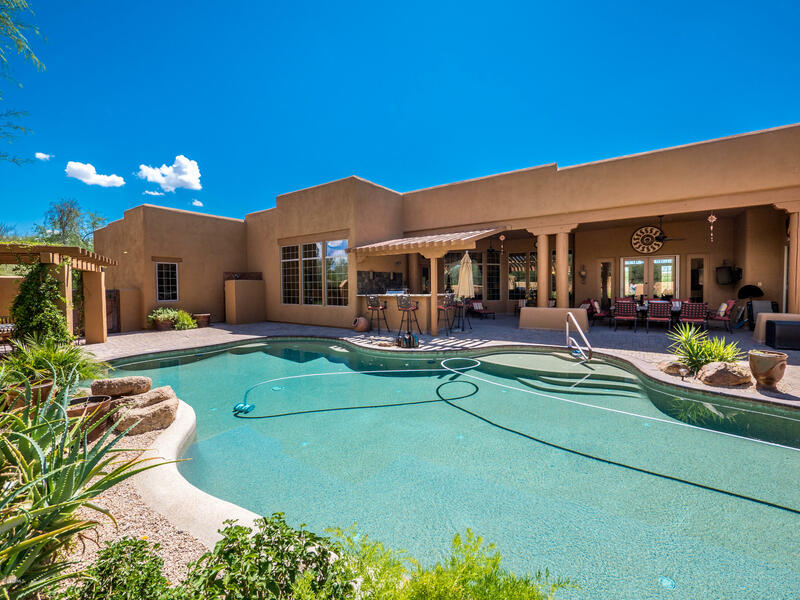 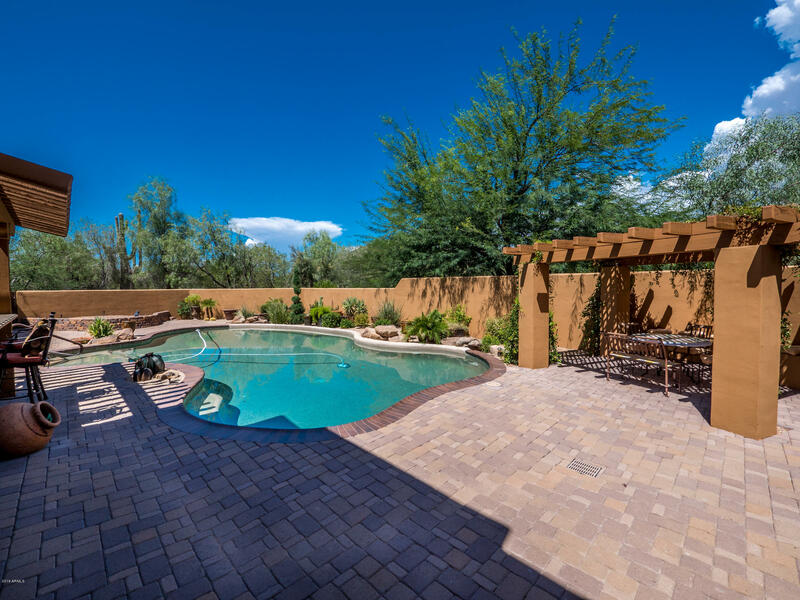 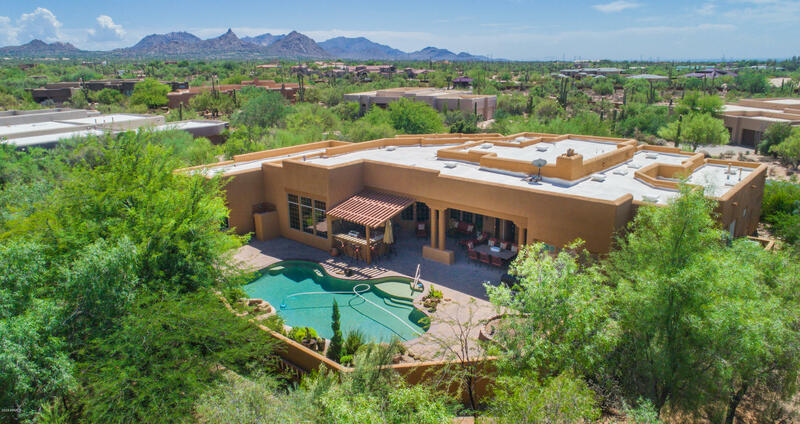 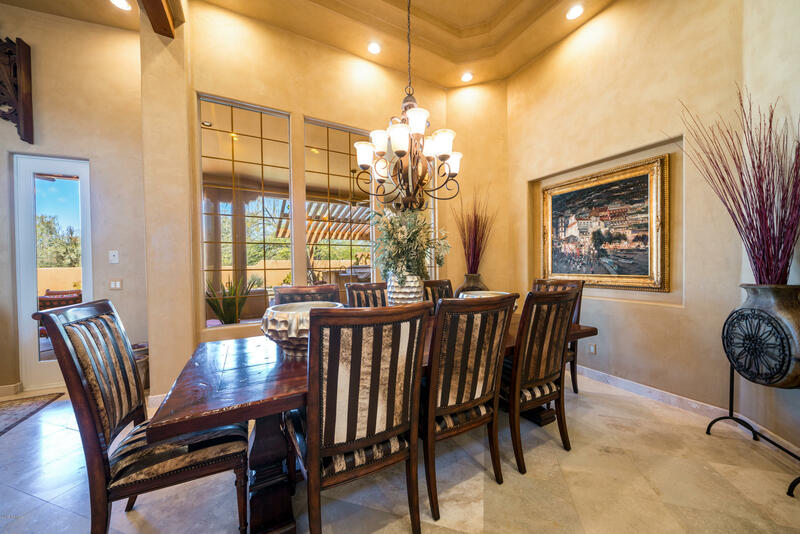 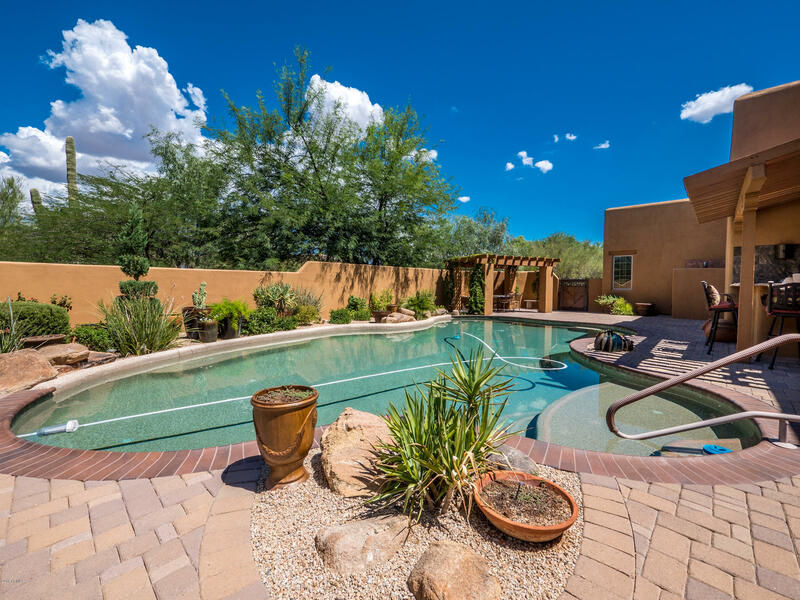 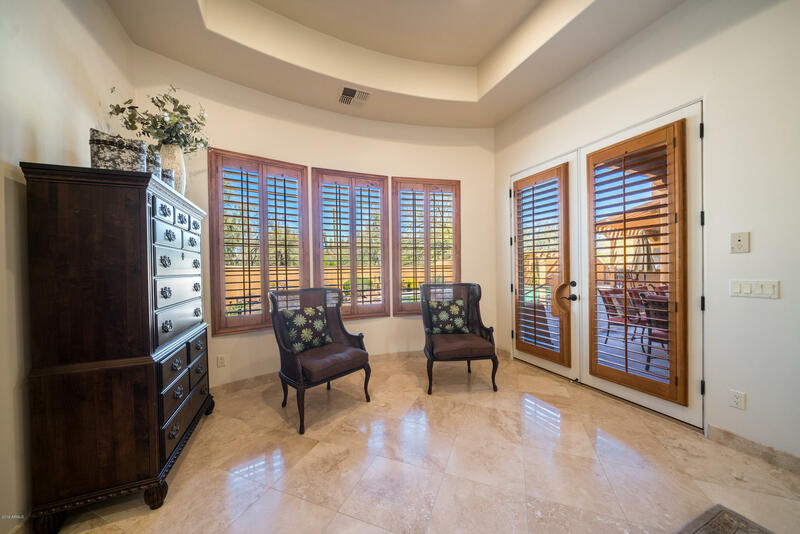 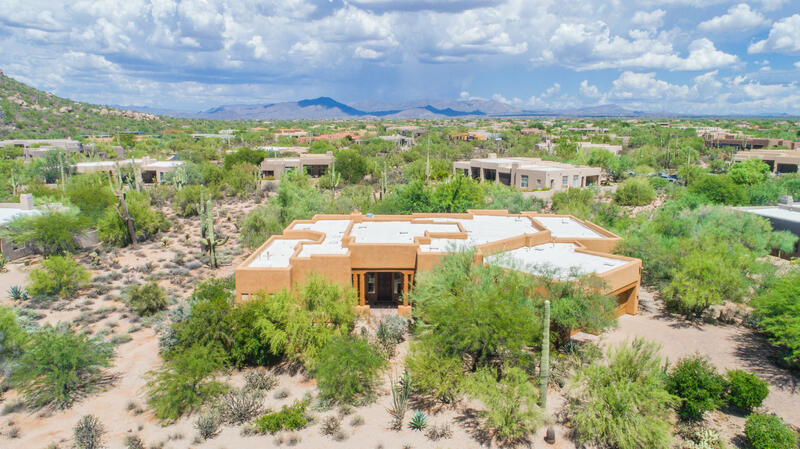 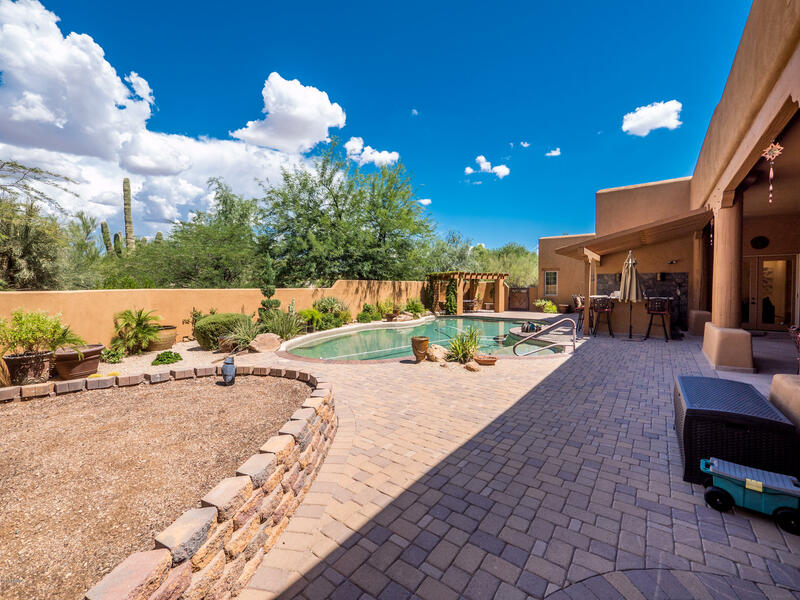 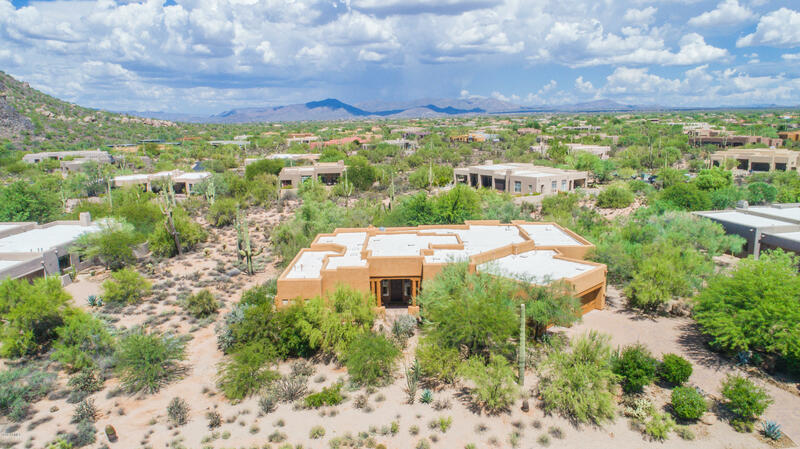 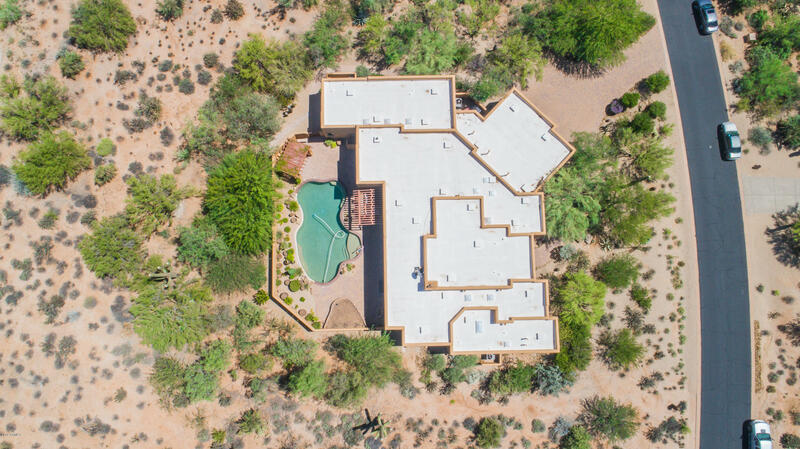 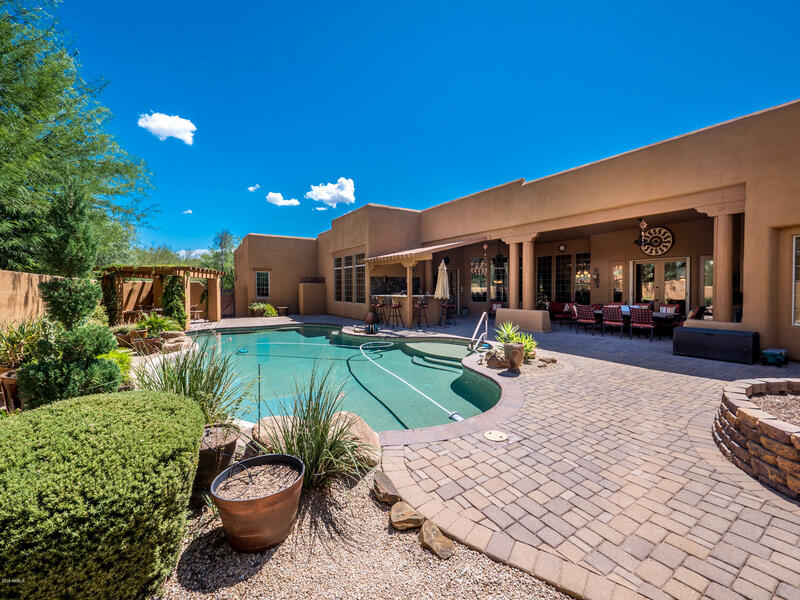 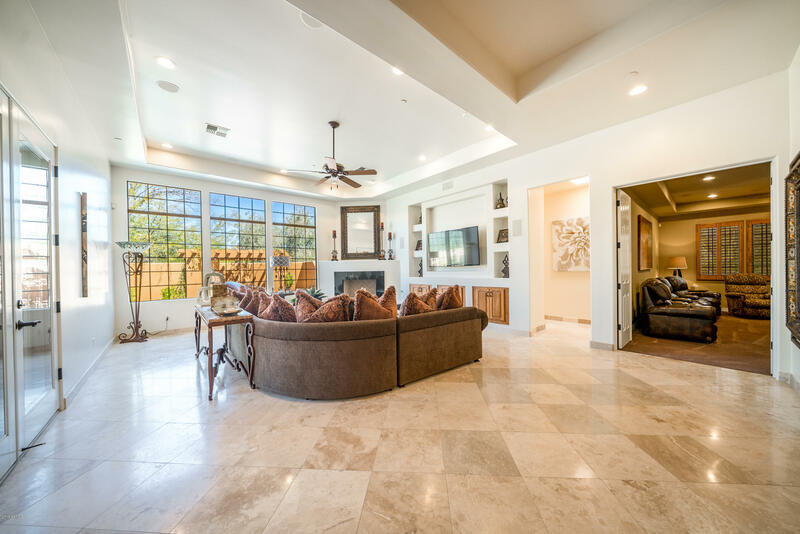 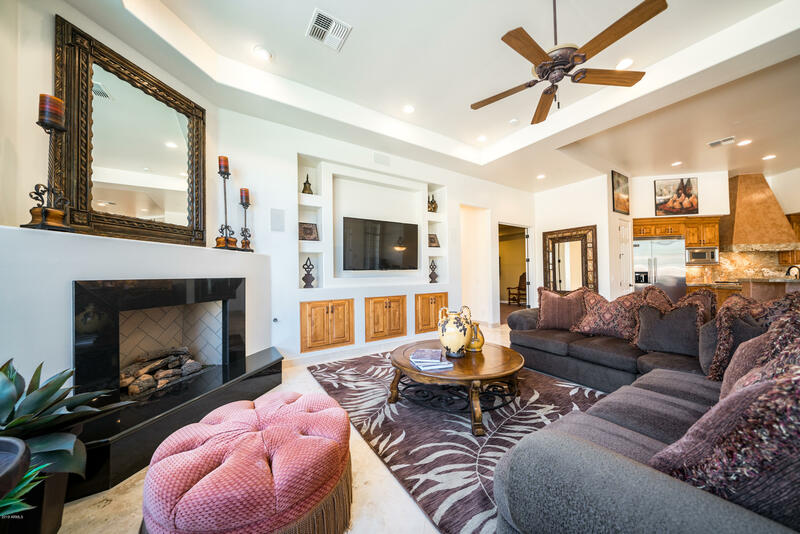 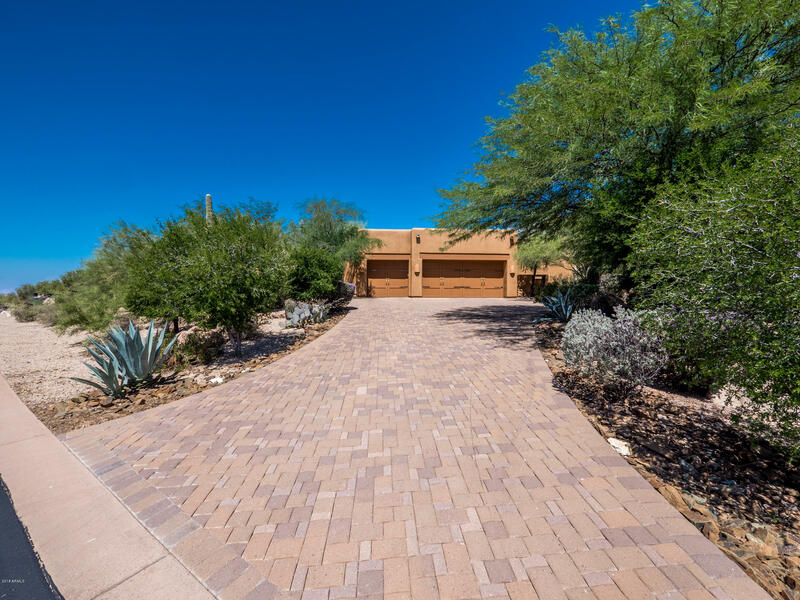 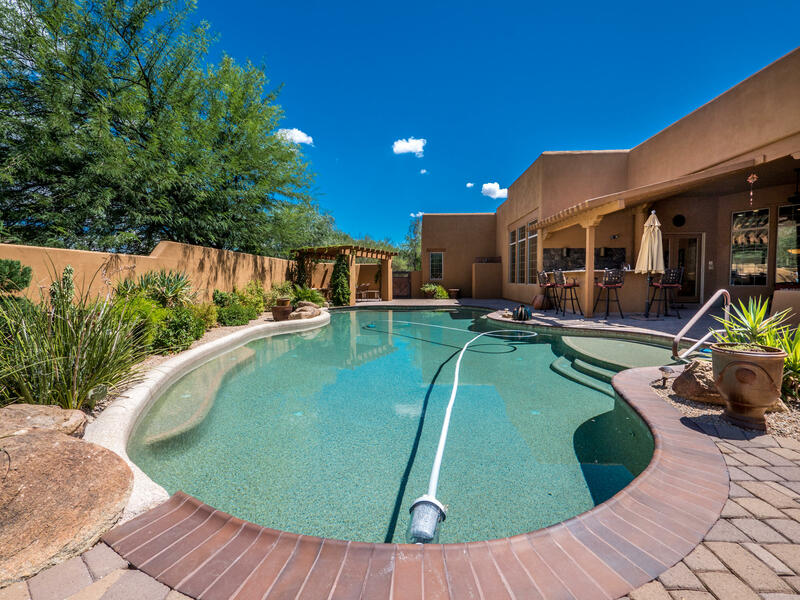 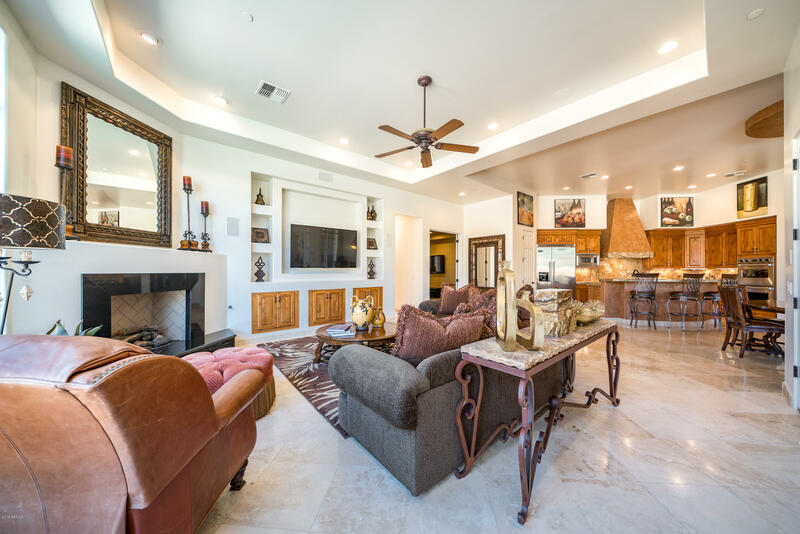 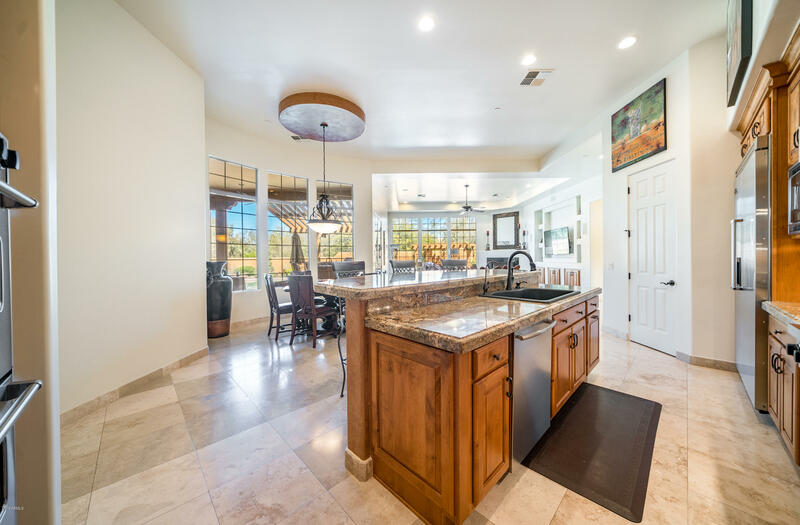 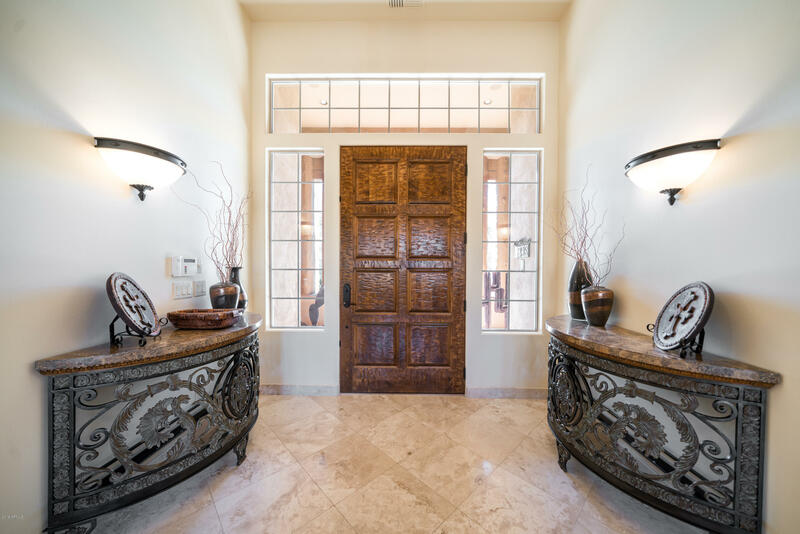 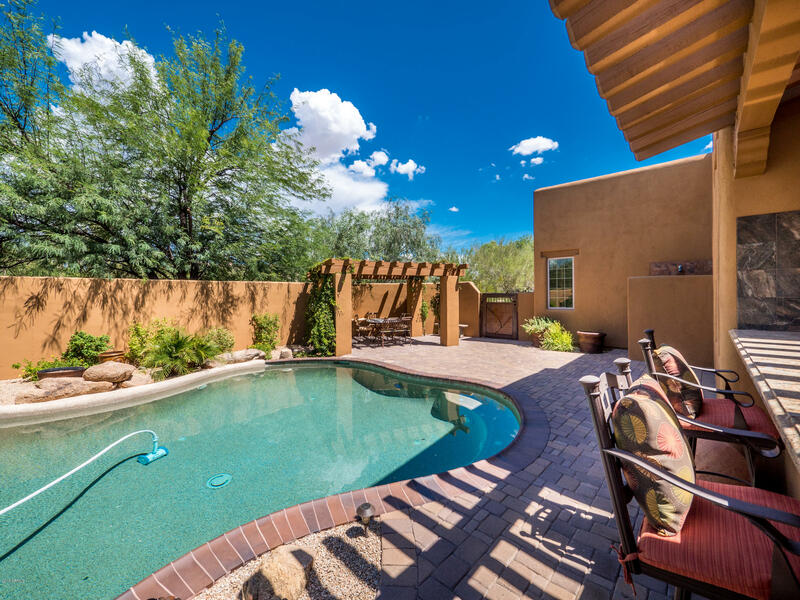 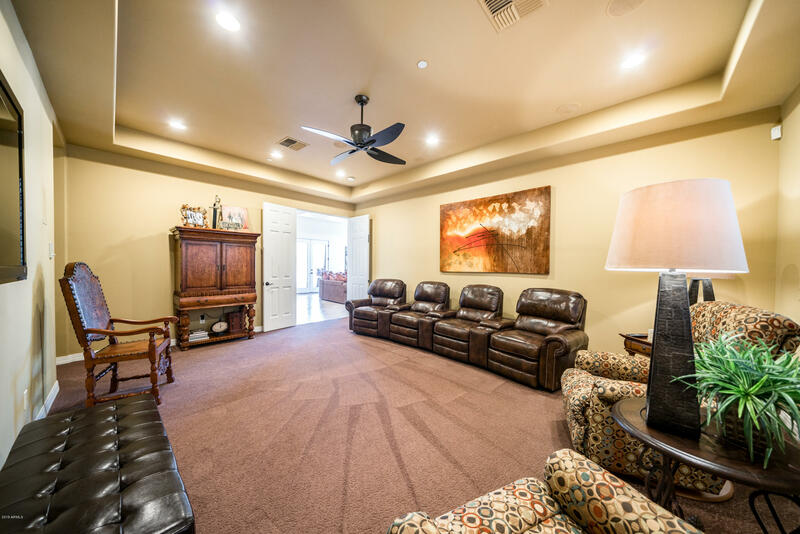 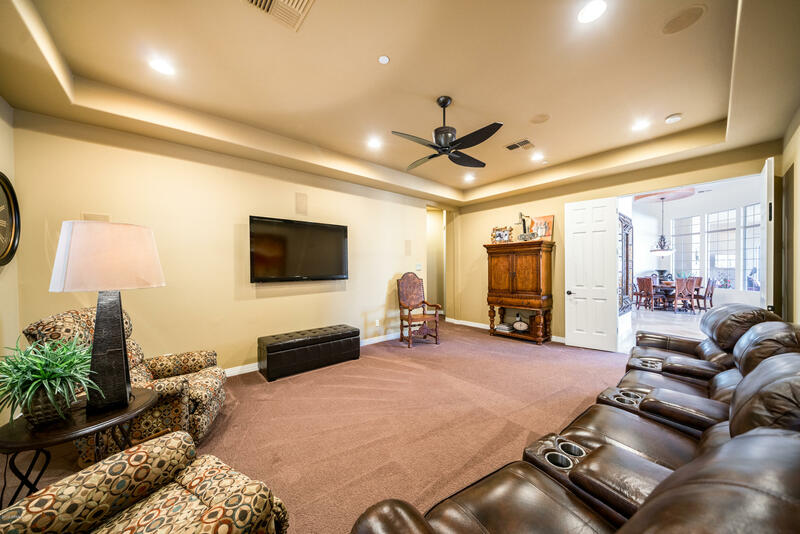  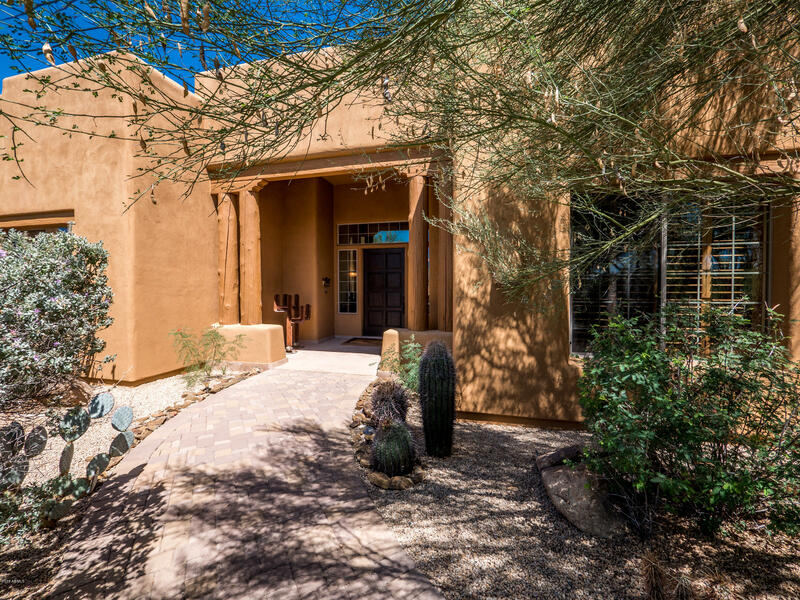 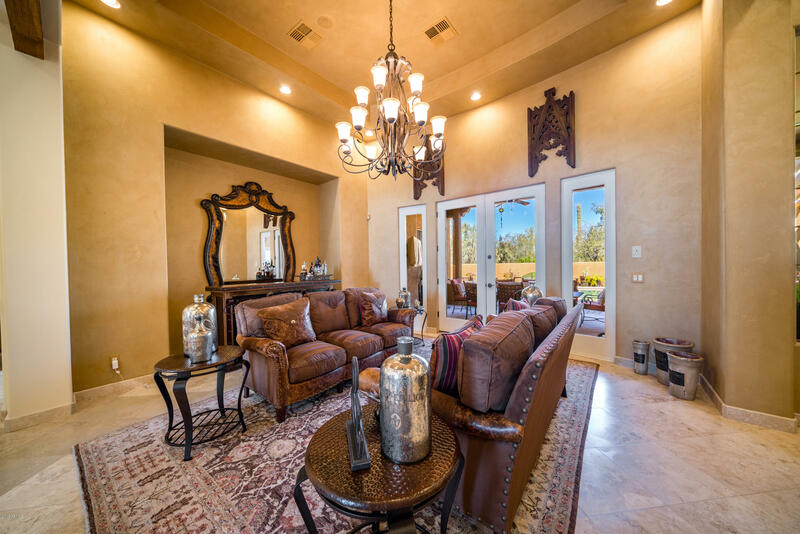 ELEGANT meticulously maintained home on a private landscaped acre with mountain views. 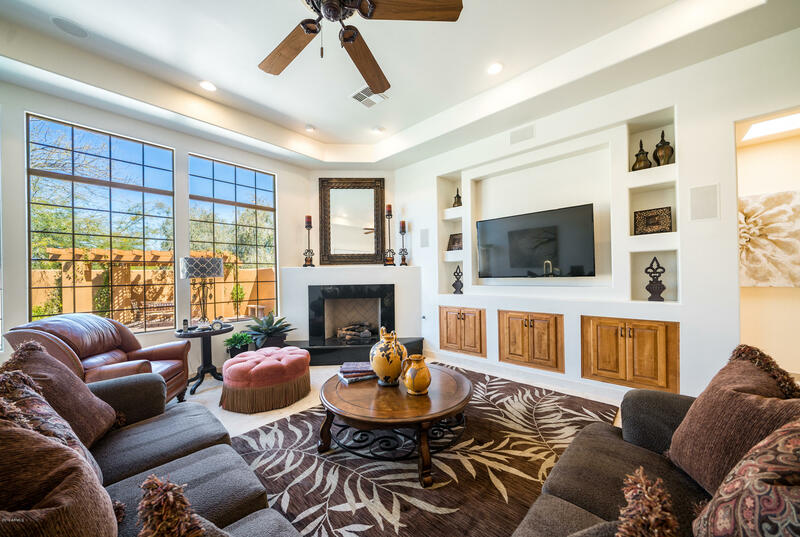 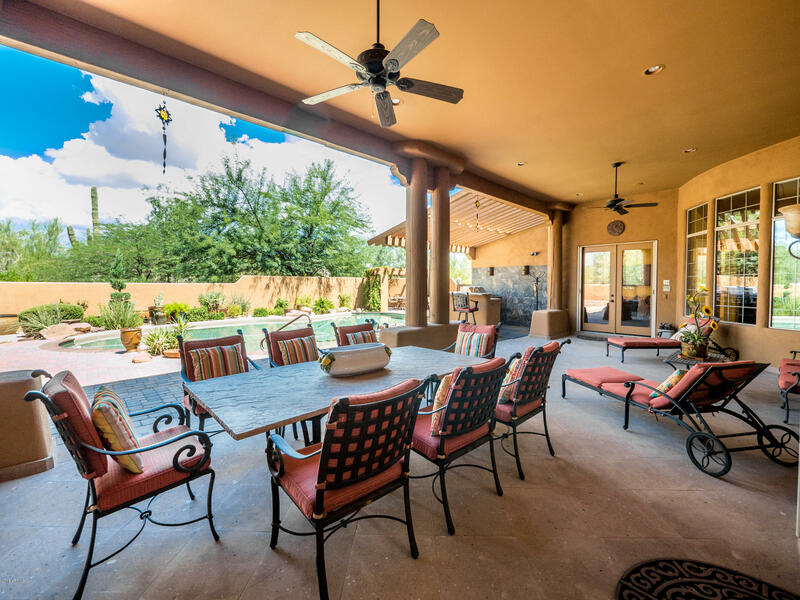 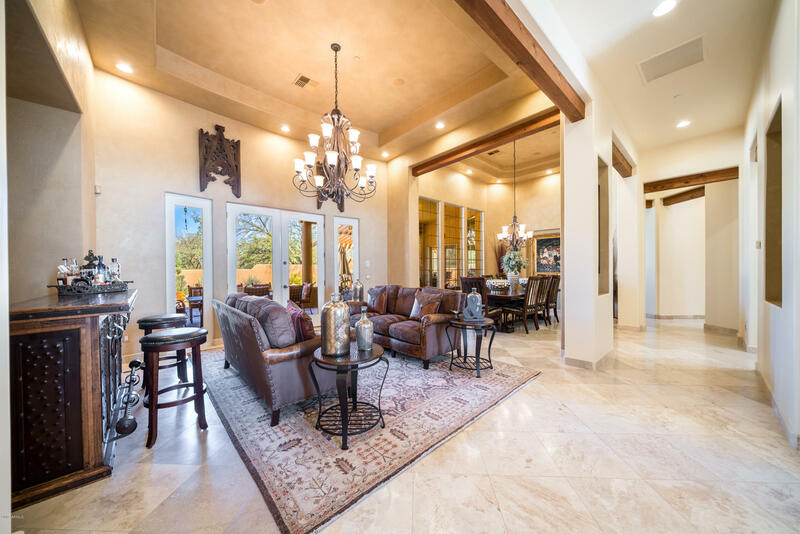 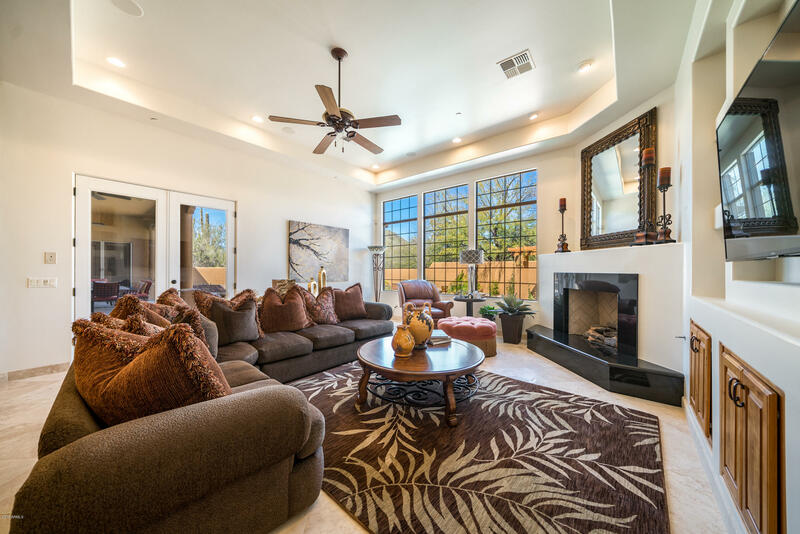 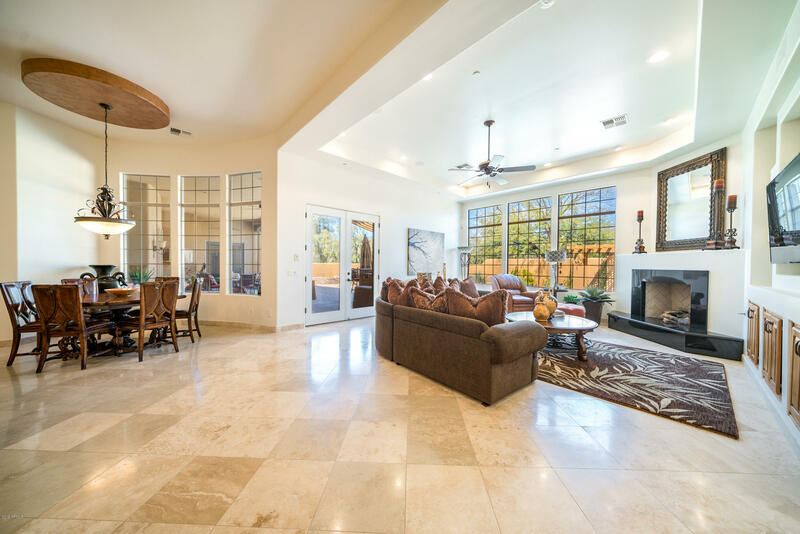 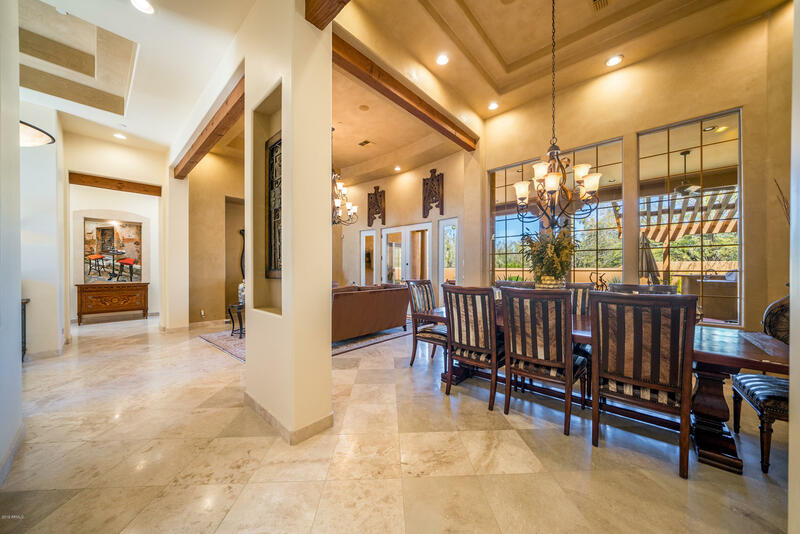 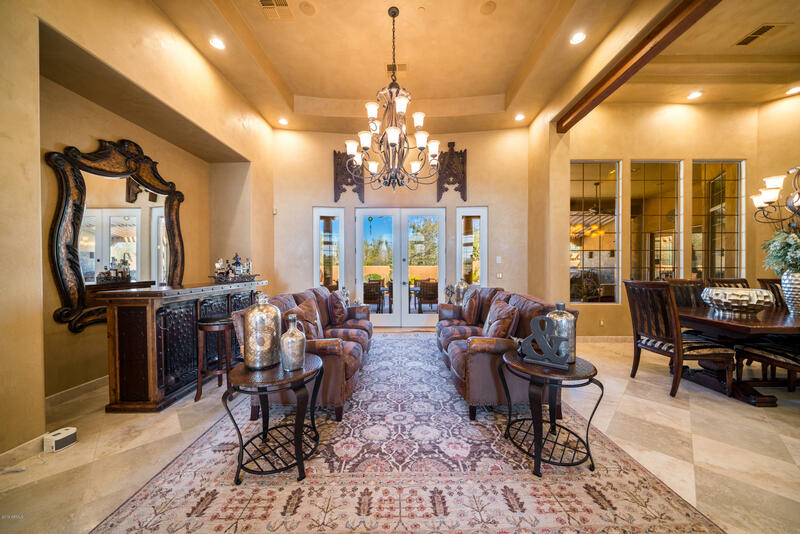 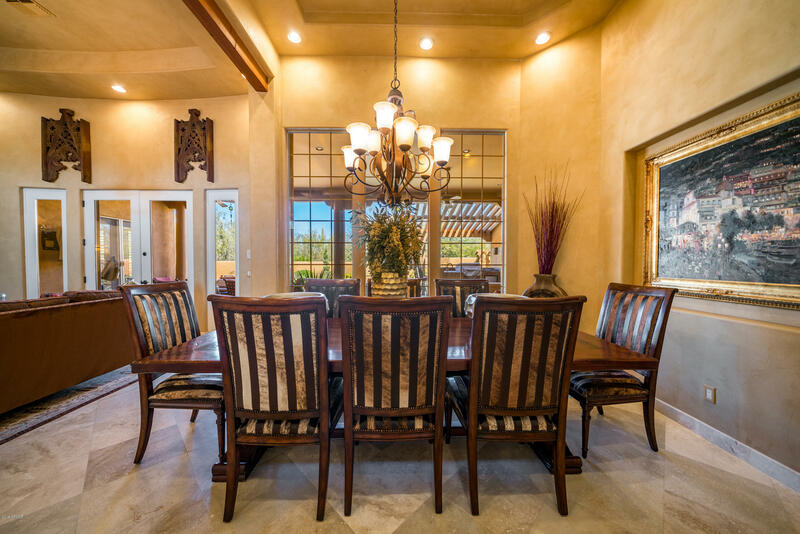 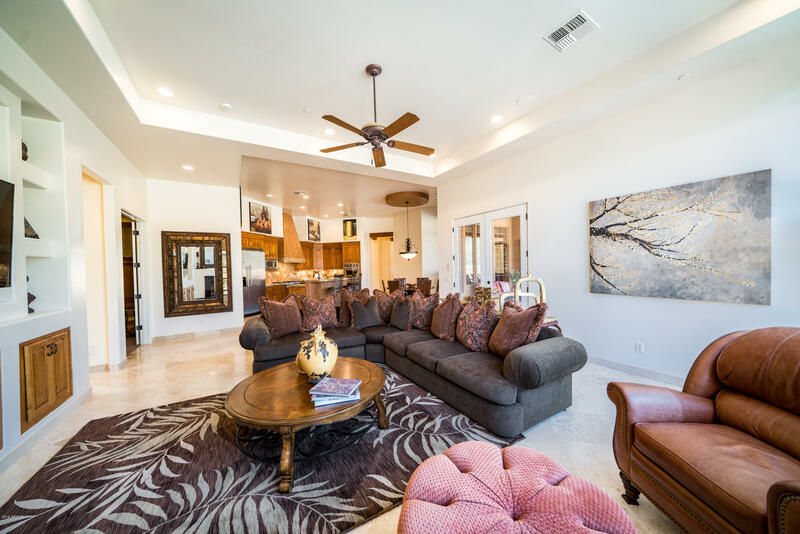 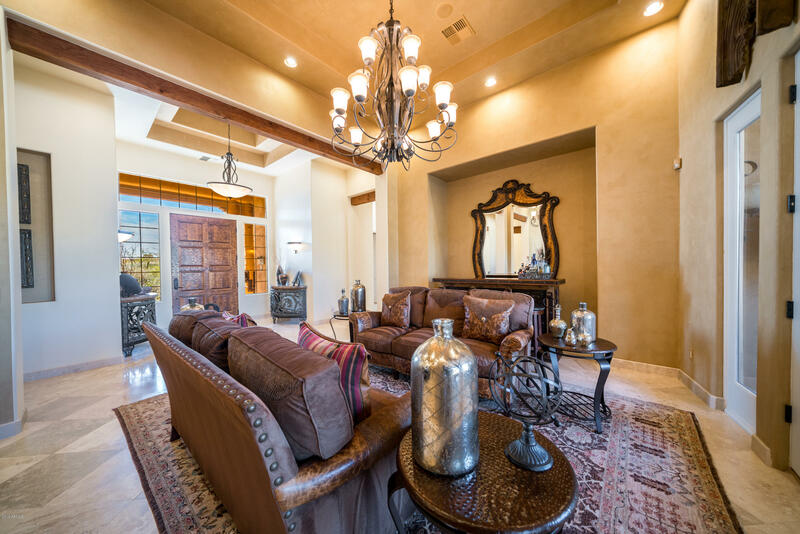 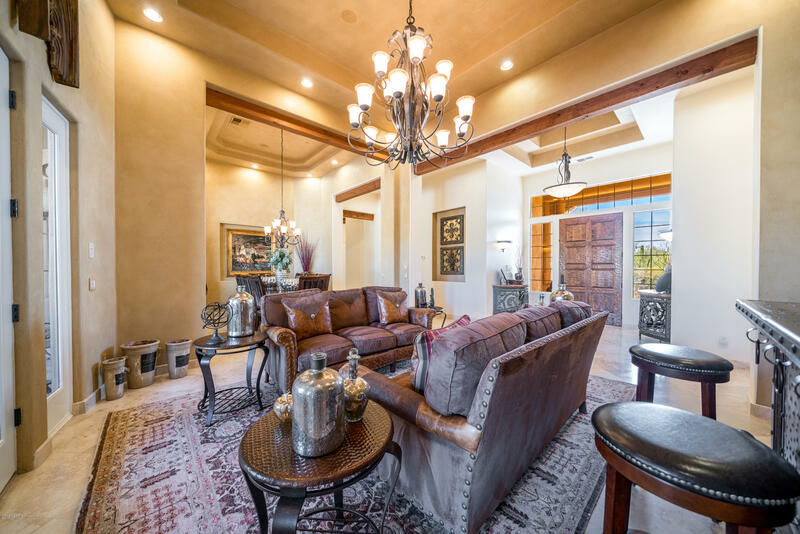 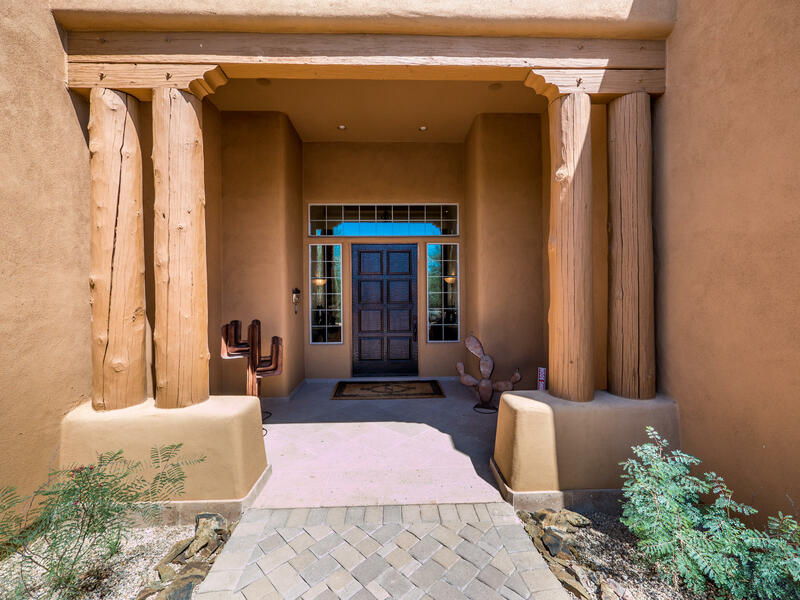 Enter the open bright floor plan with soaring ceilings and high quality stone floors and a spacious living and dining room. 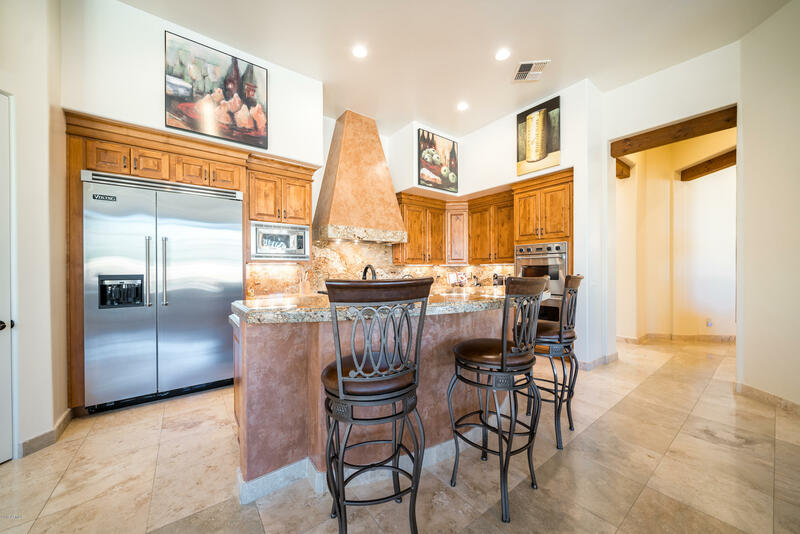 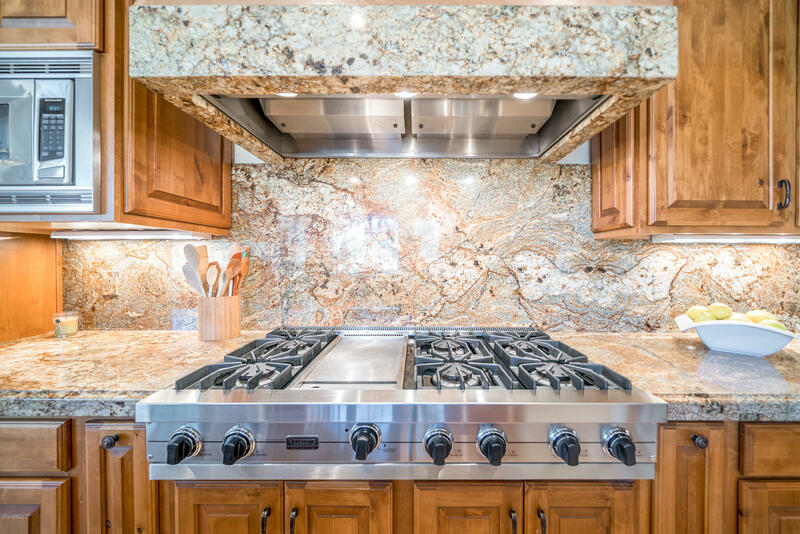 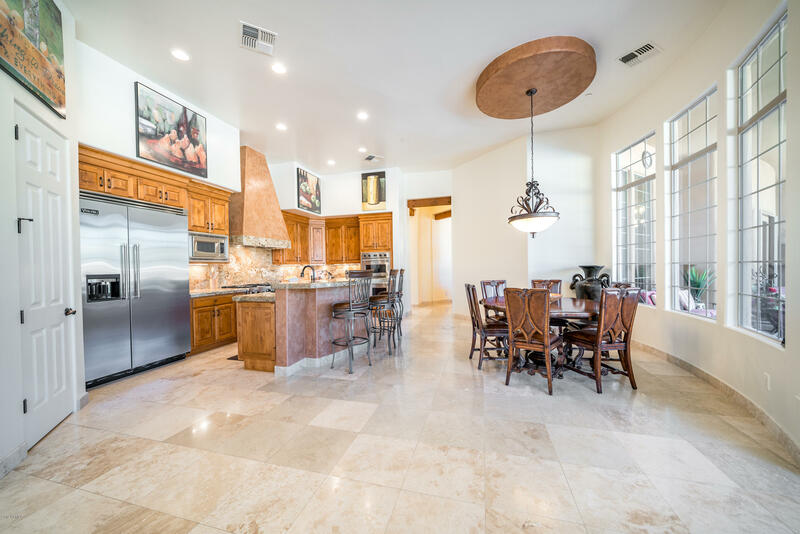 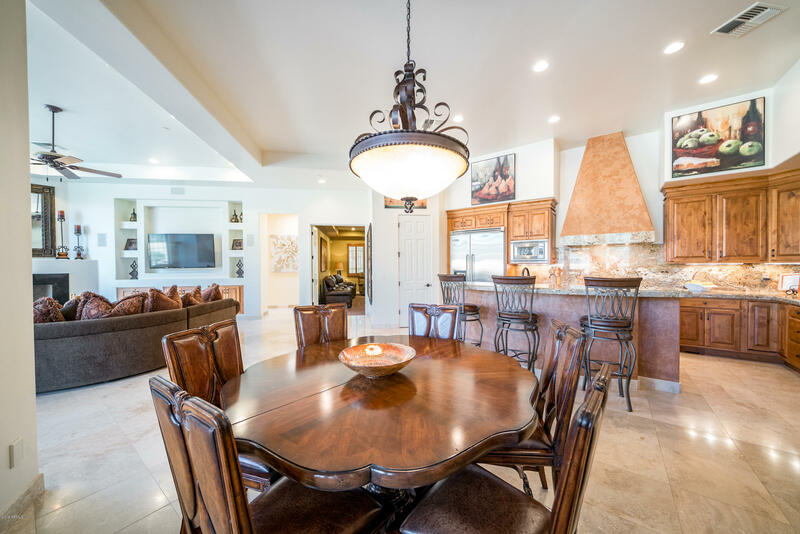 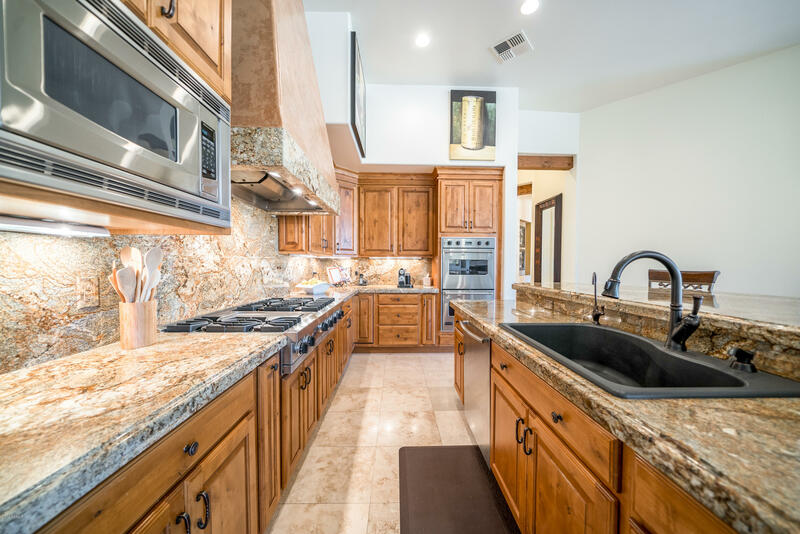 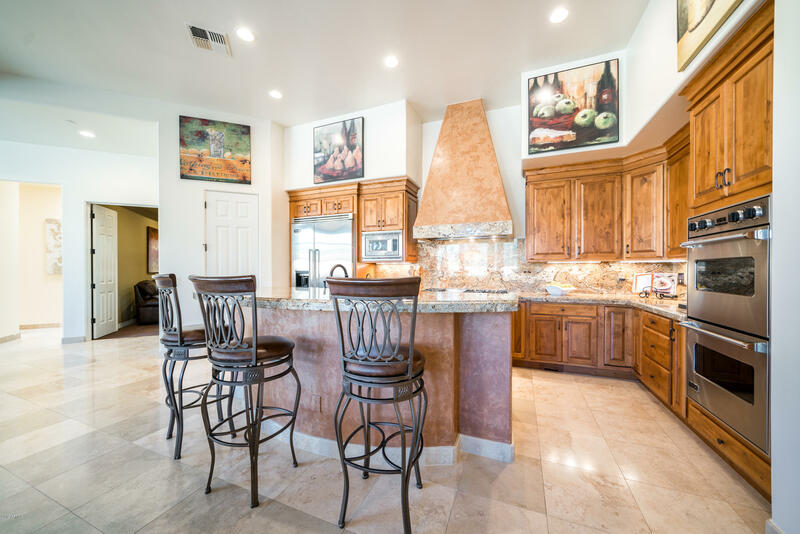 The kitchen with top of the line appliances, large breakfast bar that overlooks the family room and eat in nook perfect for entertaining. 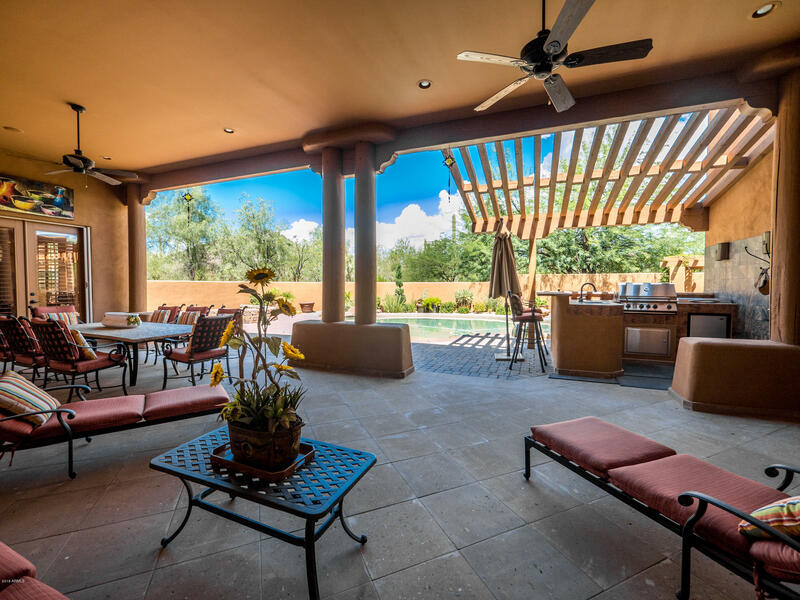 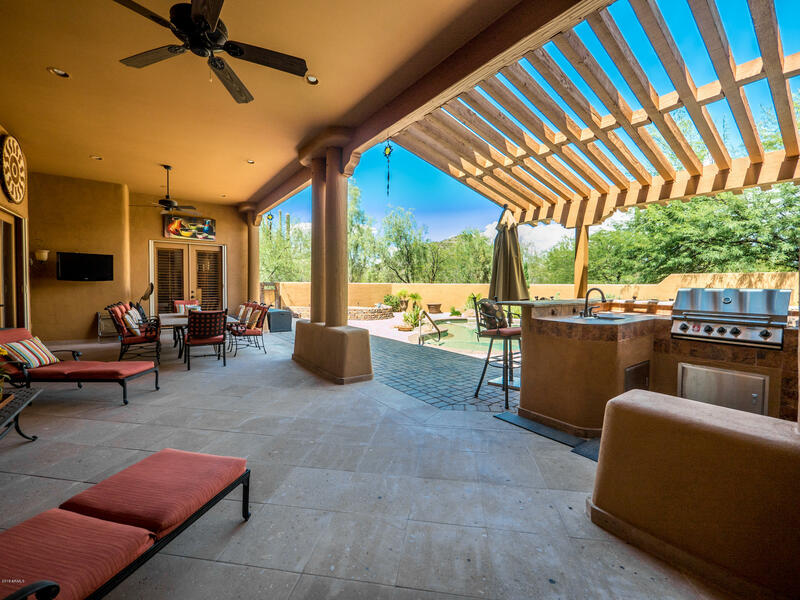 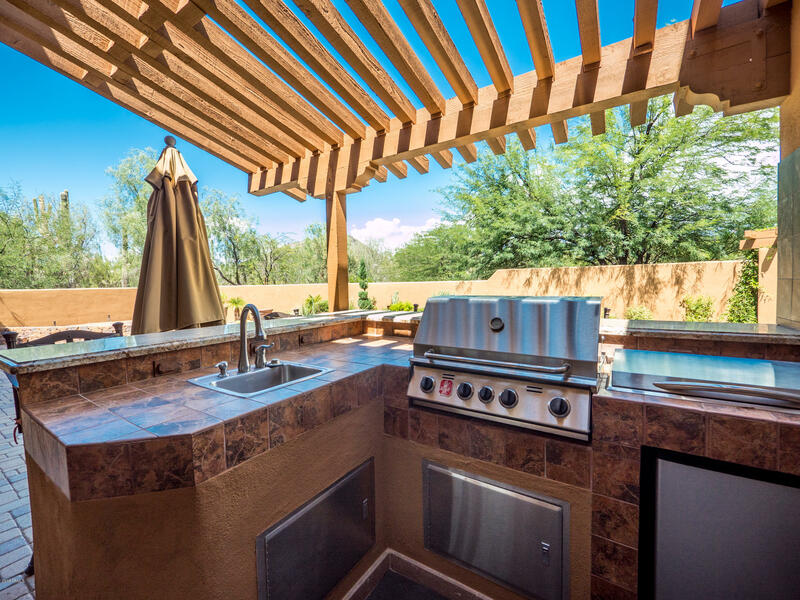 Views throughout the home of the entertainers delight backyard with heated pool, bar, bbq large covered patio, gazebo. 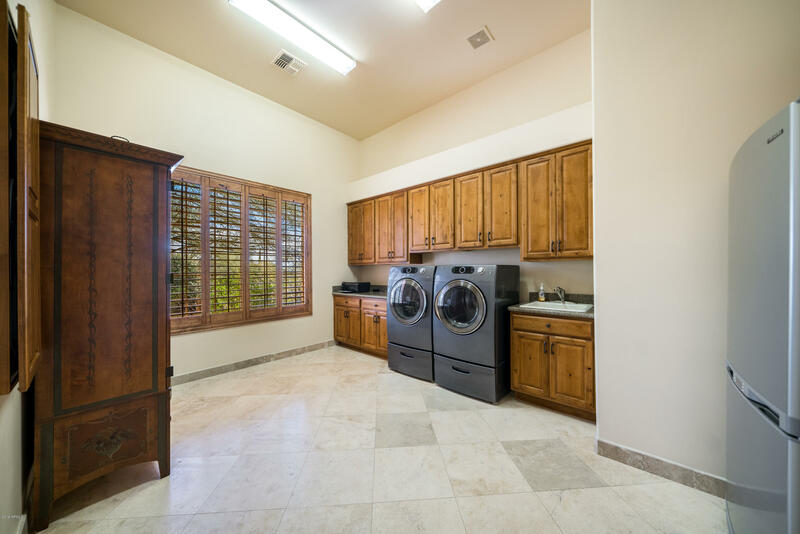 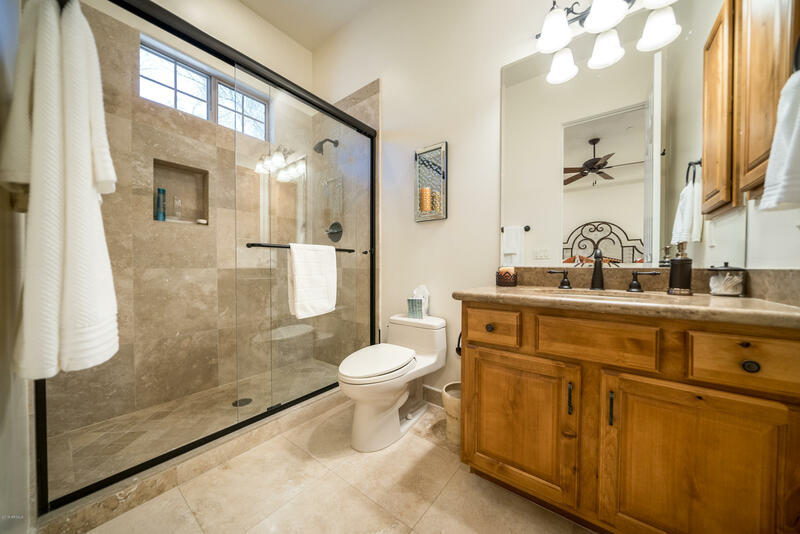 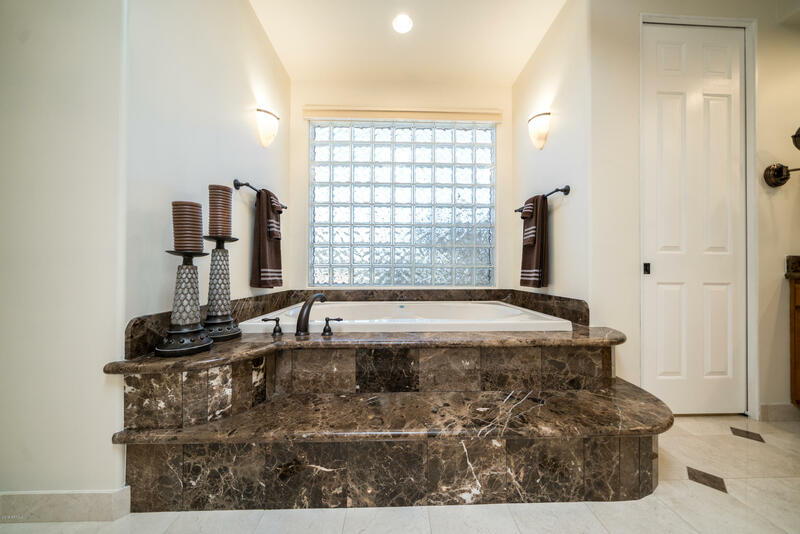 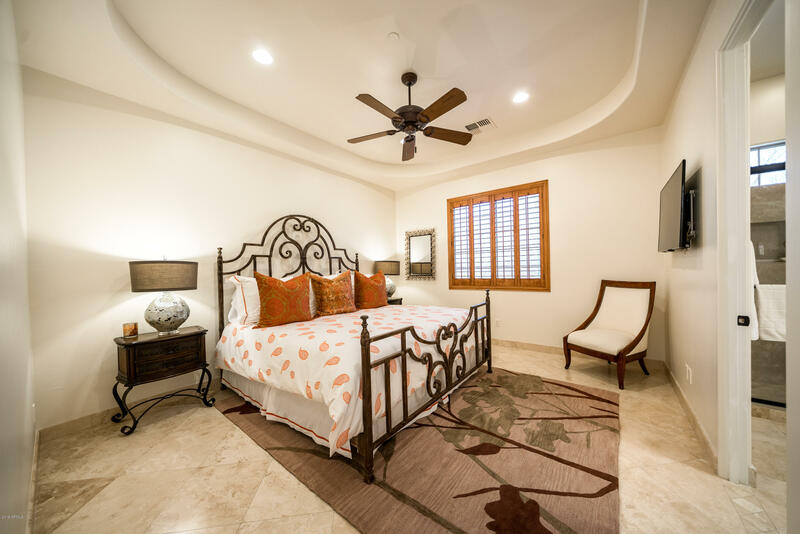 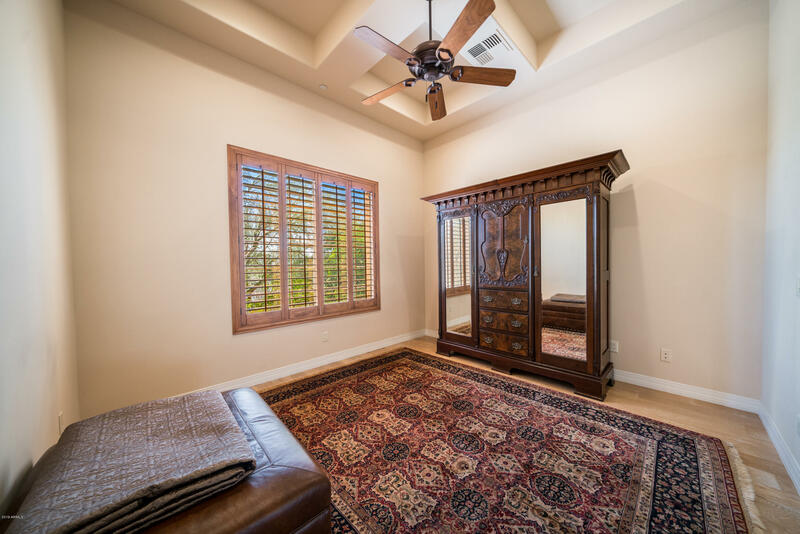 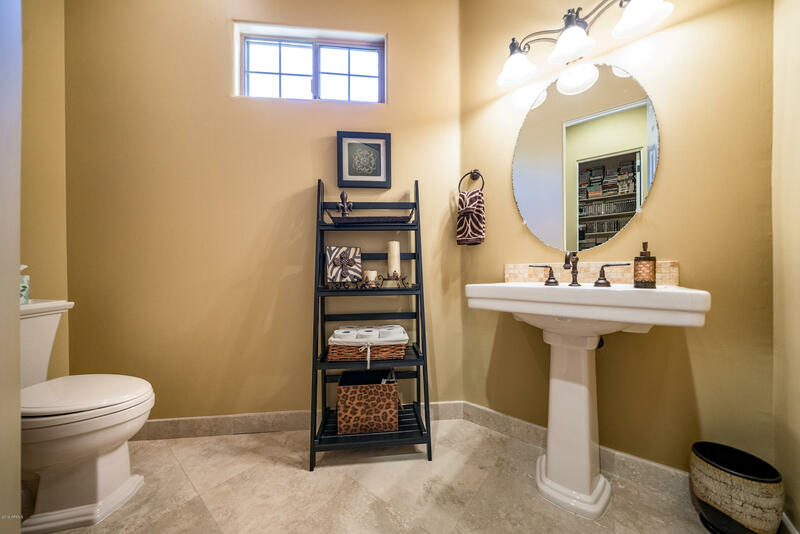 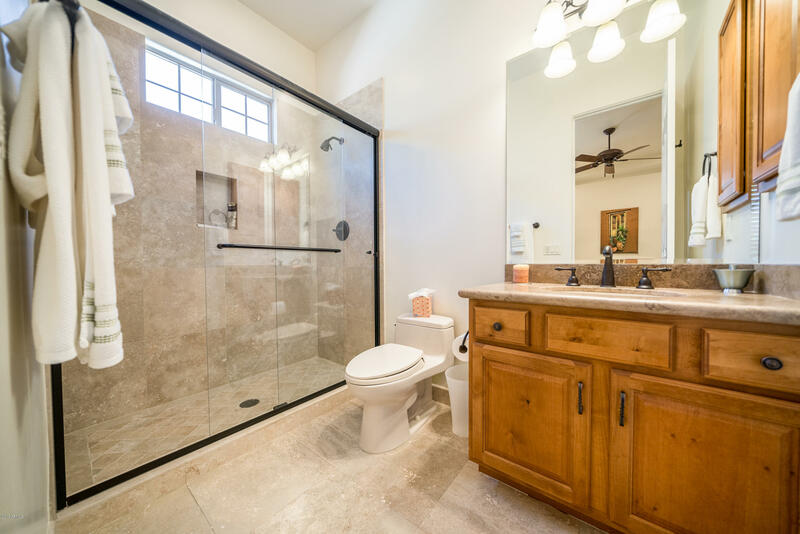 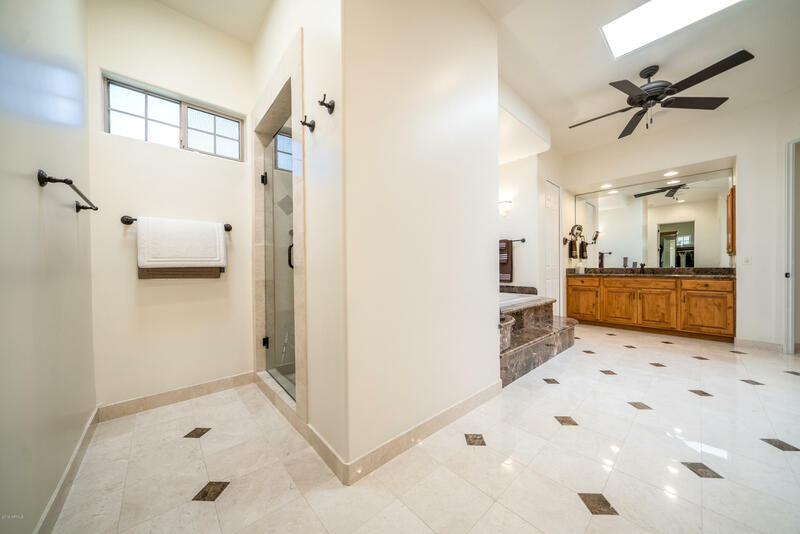 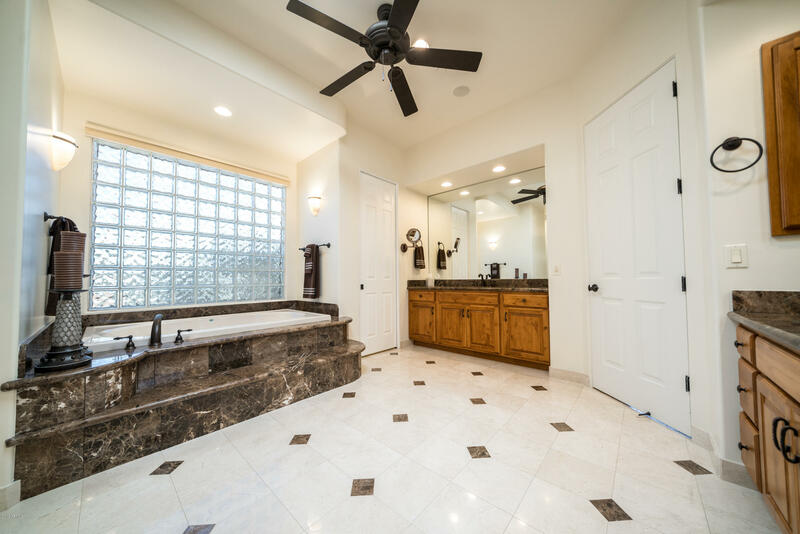 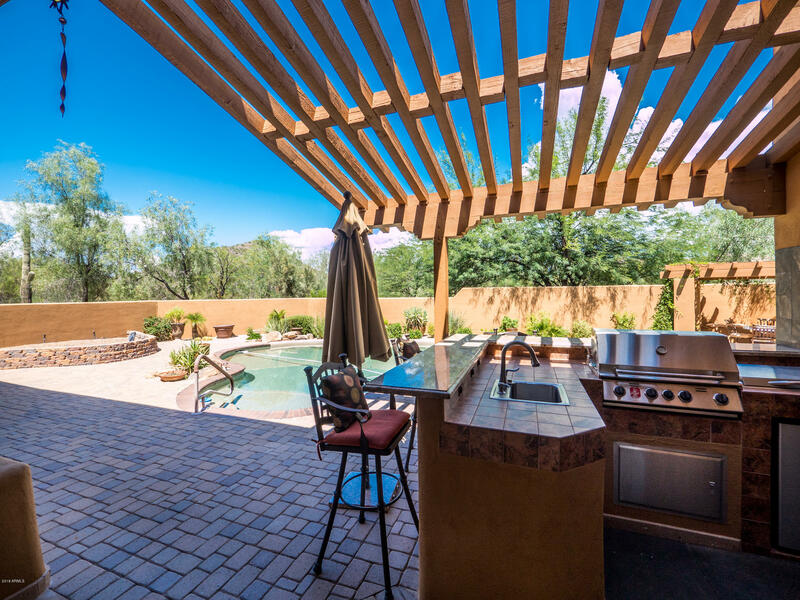 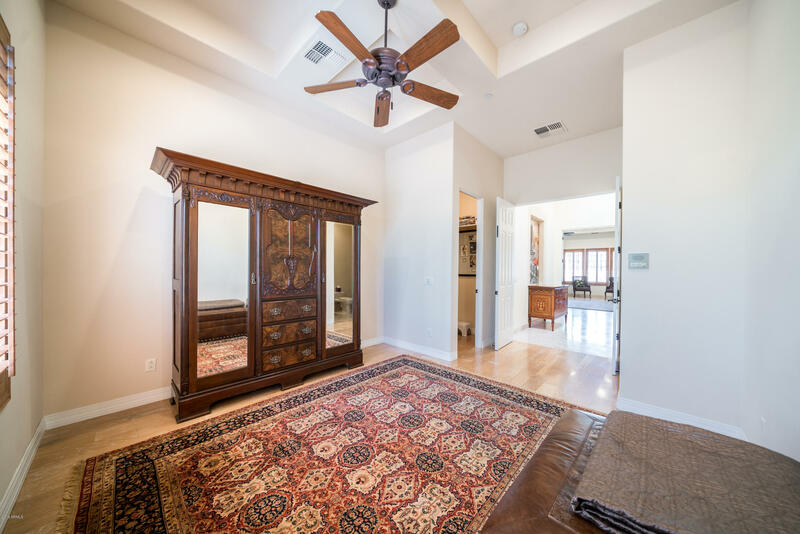 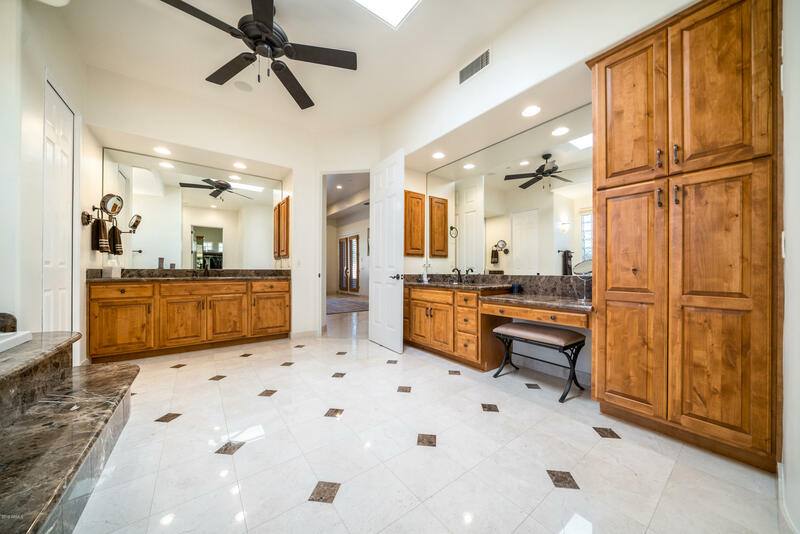 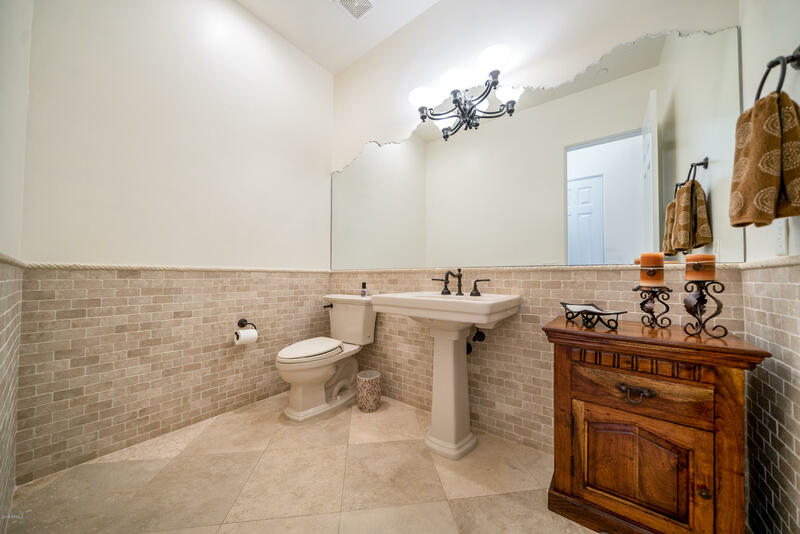 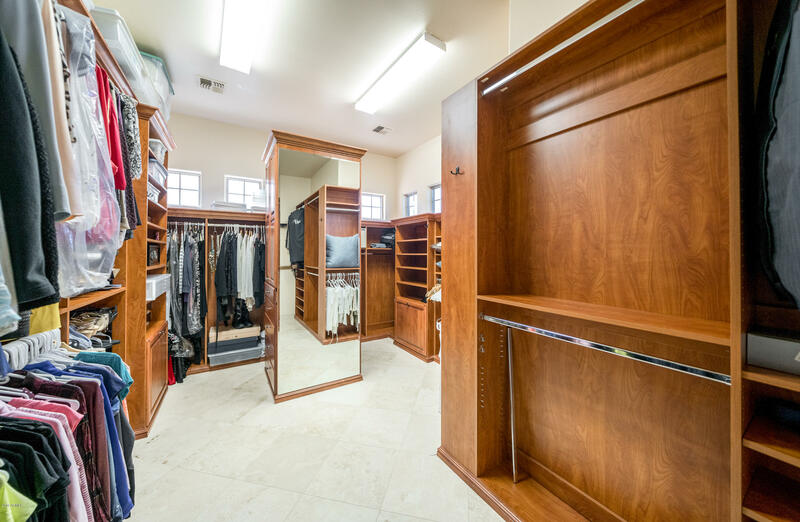 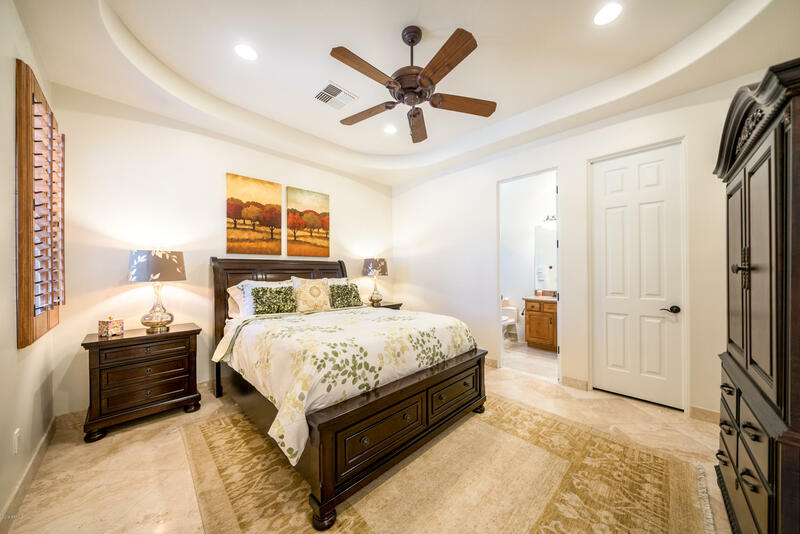 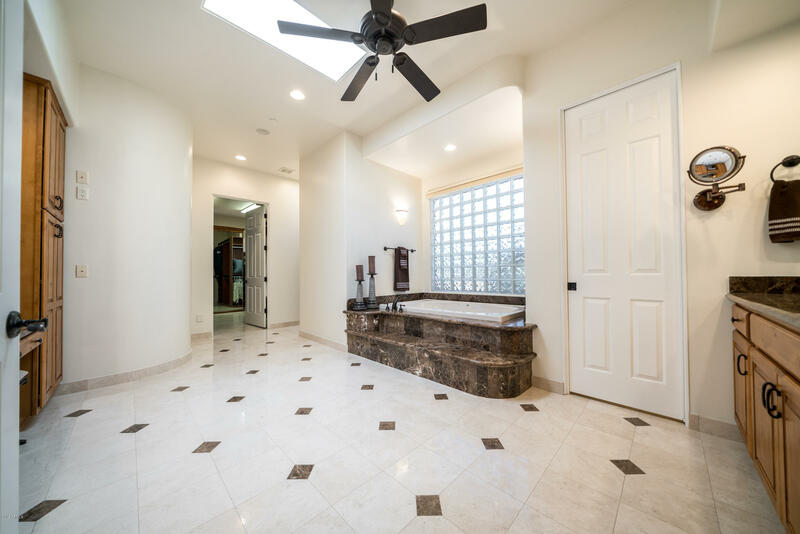 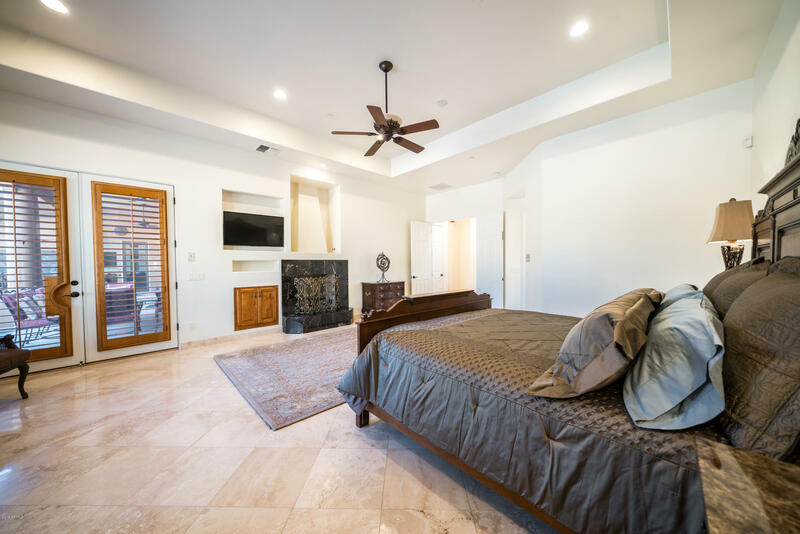 The Master Suite is separate and has a jacuzzi tub, separate shower, large walk in closets. 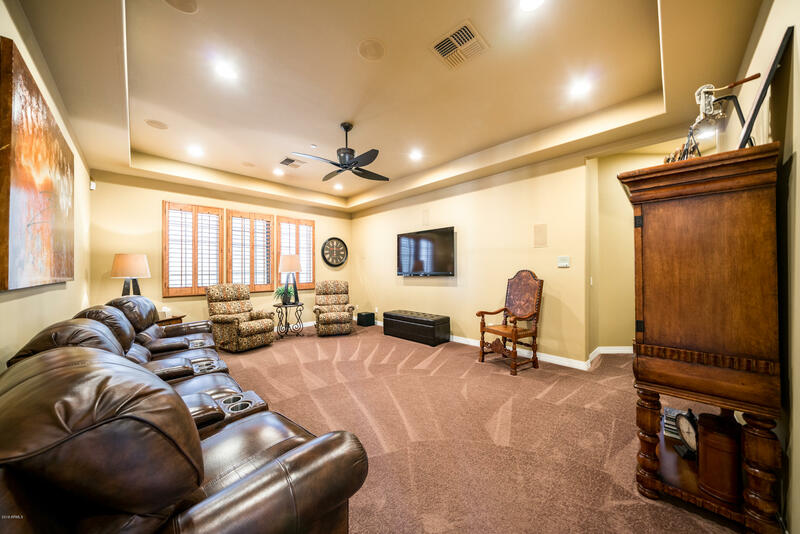 There's a media room for fun movie nights. 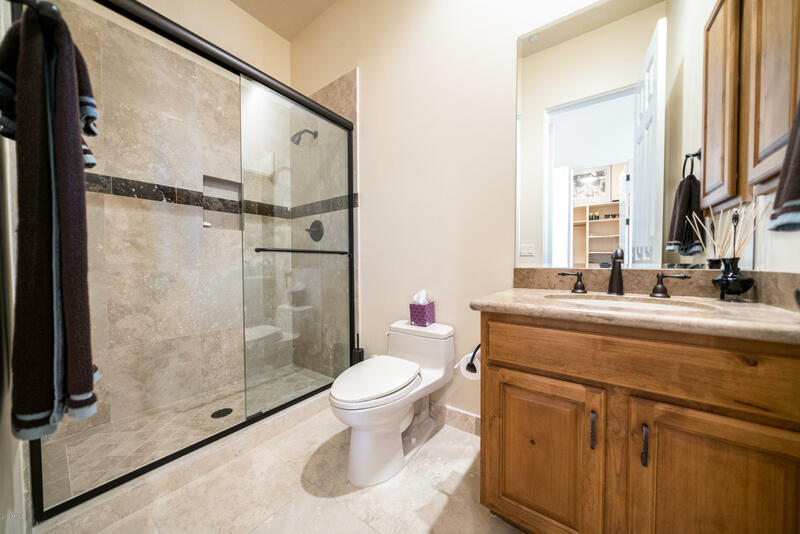 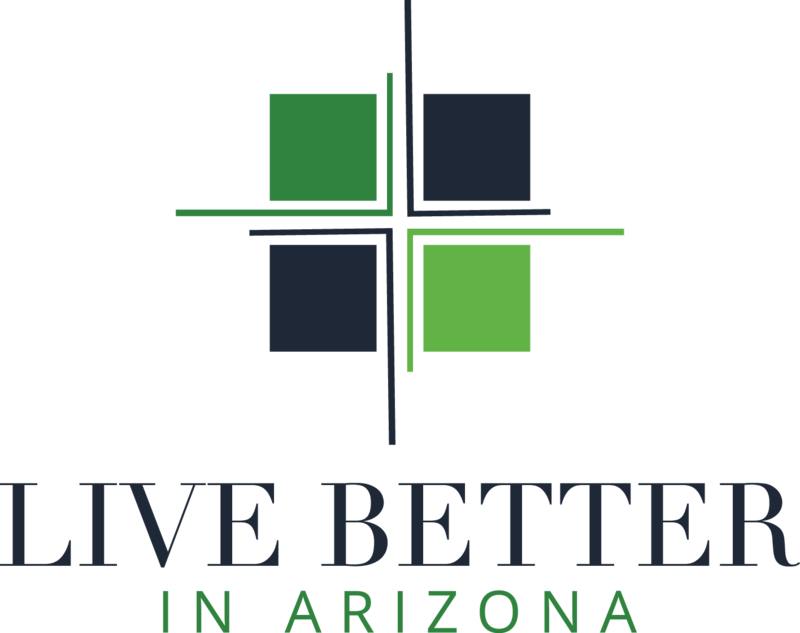 Guest bedrooms with own bathrooms. 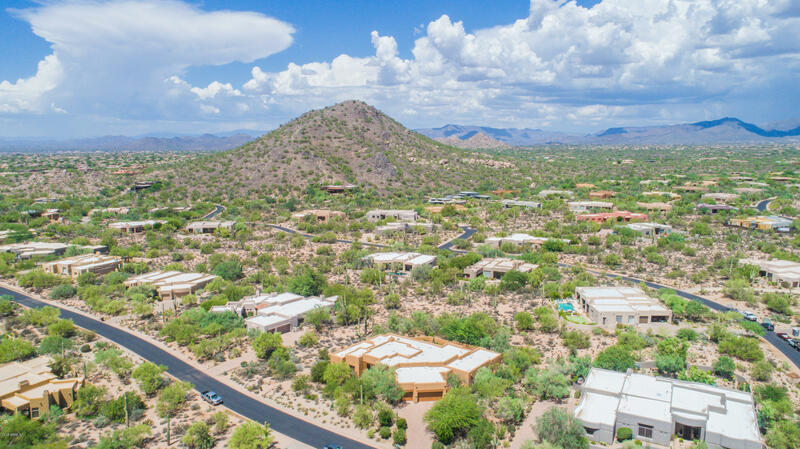 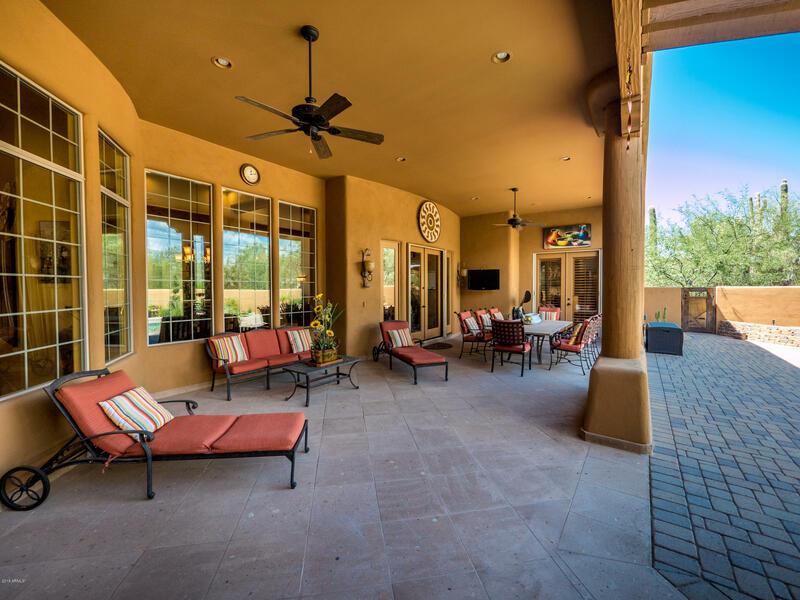 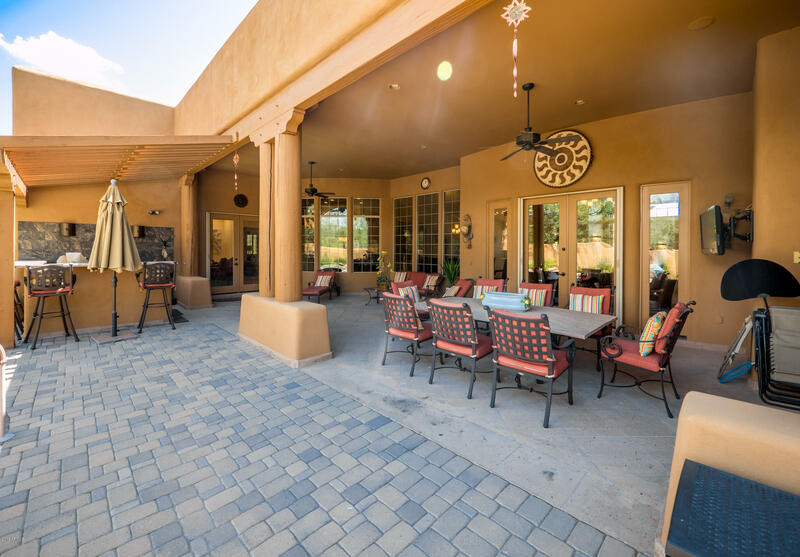 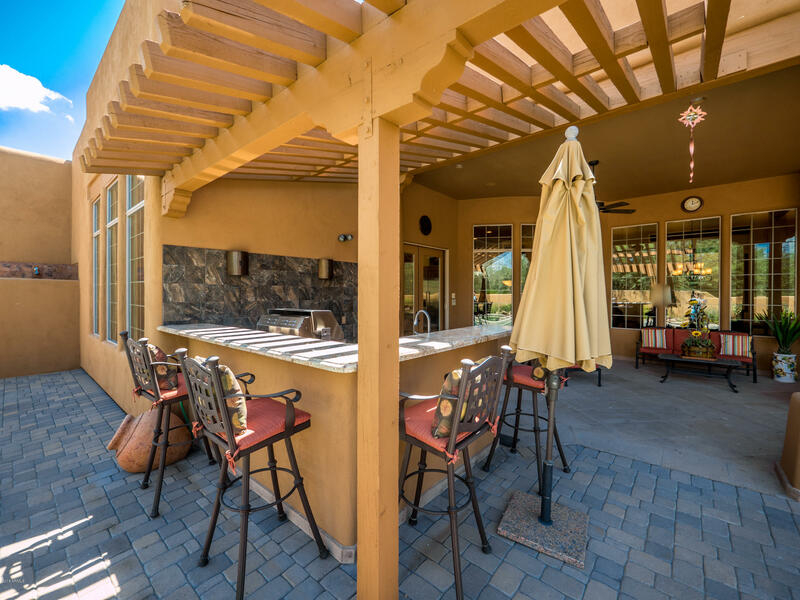 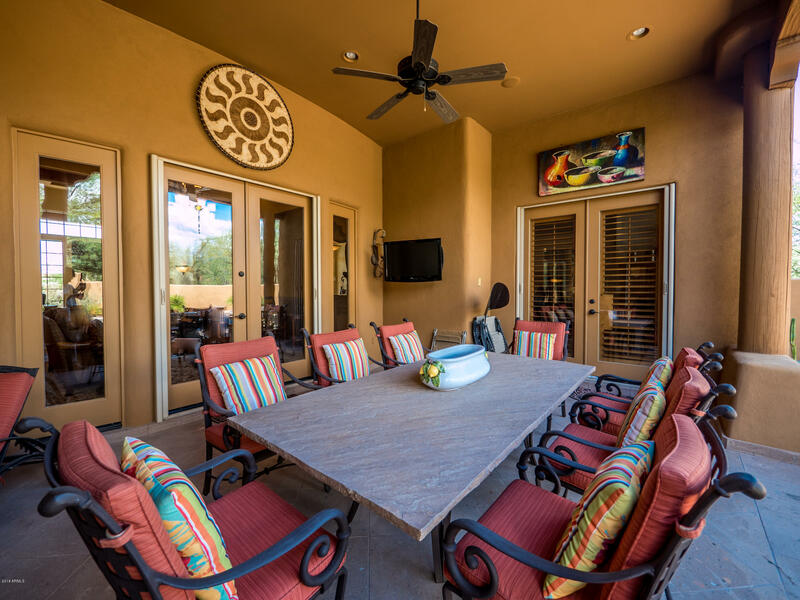 This guard gate community completes this resort lifestyle home with Comm tennis courts, clubhouse/rec center.